Gone are the days when hot tubs were traditionally installed as solely indoor hot tubs. It is not uncommon to see hot tubs in any part of the house and even outside the house so you can enjoy the soothing effects of water therapy after a hard day’s work. It could be a bit daunting to set up a portable hot tub. Apart from getting the correct dimensions and space allotment in your home, it is helpful to acquire some hot tub installation ideas from your friends and the Internet, whether you’re using an in-ground hot tub or an inflatable hot tub. 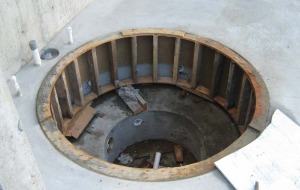 When you are ready to have the best hot tub shipped to your home, you must first settle on where to have it installed because you don’t want to move an in-ground hot tub to another location once it is fixed in place. You also have to take into consideration how heavily it will be used and how you can make it accessible to everyone. If you are a tub user who likes to commune with nature while bathing, the backyard patio is the perfect place for your outdoor hot tub. You can place it adjacent to your back door for easy accessibility so you don’t have to run off just to get to it while it’s raining or snowing. For added privacy, you can set up optional glass panels around your 2-person hot tub so you can savor intimate moments without worrying about your neighbors’ curious eyes. An enclosure is also a good place to construct a hot tub. A hot tub gazebo is particularly attractive because it comes with a hot tub cover and roof for additional protection and privacy. This frees you from having to clean off the slush from the hot tub cover during winter. Because of this, you can prolong the life span of your tub by protecting it from extreme weather and accumulation of debris. Hot tub installation costs may be an issue for you, so be sure to install only the needed accessories. If you have been reading hot tub reviews online, you must have come across suggestions on installing your hot tub in the deck provided that the deck is adequately strong to withstand the tub’s weight and the water volume. In addition to that, you should also consider how many people are going to occupy the tub at full capacity. Aside from the tensile strength, you should know enough about hot tub electrical installation to ensure that you won’t get interrupted by circuit malfunction while you and your friends share a cocktail of wine. There are a lot of places where you can put your hot tub, but these are just some of the most common sites. For professional advice, don’t hesitate to contact your manufacturer or your local retailer. This entry was posted in hot tubs for sale, spa, ways to relax and tagged best hot tubs, Hot Tub Installation, luxury spas, relax, spa, spa for sale. Bookmark the permalink.